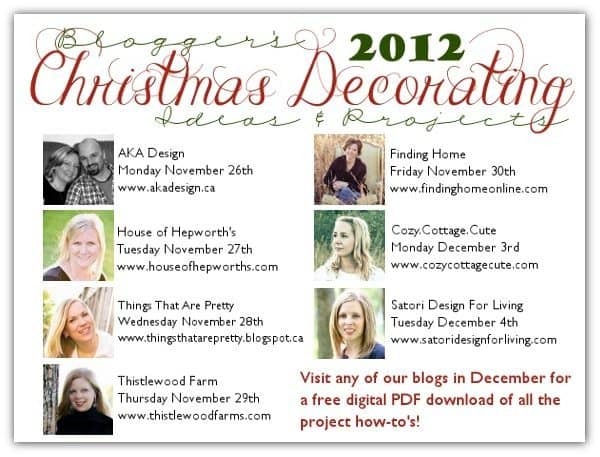 I have joined forces with six other awesomespice bloggers to bring you several Christmas Decorating ideas and projects. 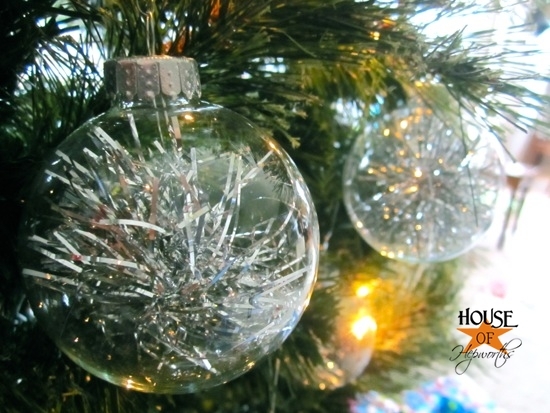 Each day one of us will be featuring a Christmas project or decorating idea on our own blog. We’ll be sharing the links to everyone elses projects on our social media (twitter, facebook, pinterest) so you can easily find them. Tuesday is my day! I’m getting the post up late (sorry!) because of an emergency appendectomy last night for my son. I’ll give you more details about him later tonight or tomorrow. 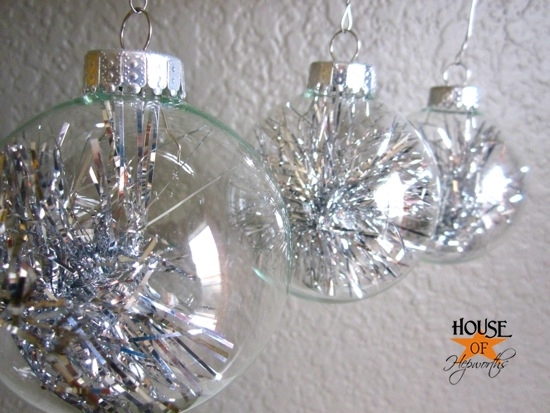 I’m sharing a super-simple idea for making some cheap and sparkly ornaments for your Christmas tree. 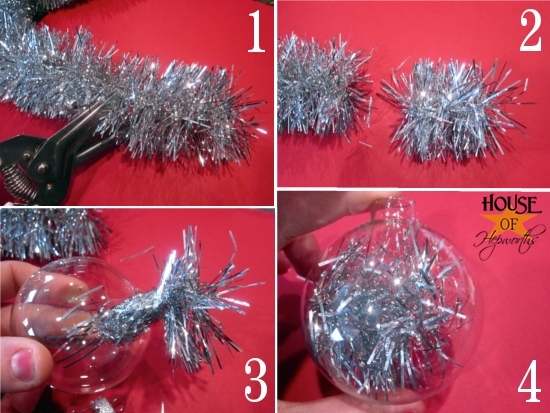 Simply cut the garland into 1″ strips and stuff into each of the glass ornaments. 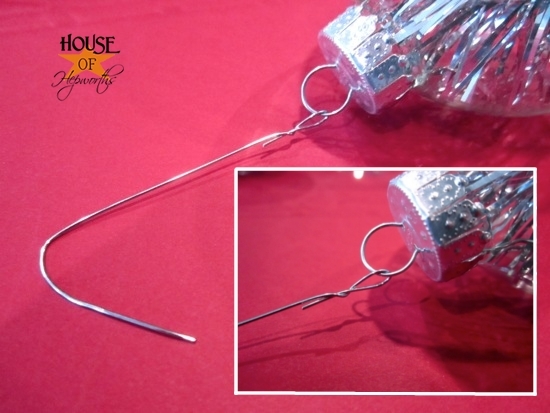 Pop the top back on and twist an ornament hook onto each ornament. 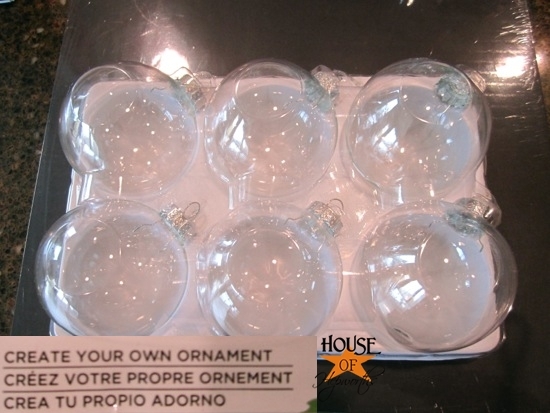 Complete by hanging on your Christmas Tree! Please take the time to visit all my blogging friends participating in this little Holiday shindig. 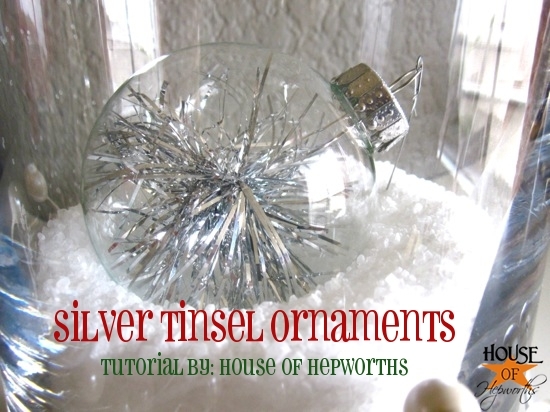 If you love the ornaments I’d love for you to pin this post to share with all your friends. These are cute! 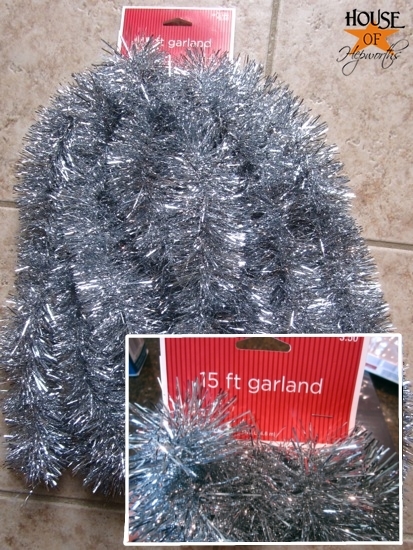 I definitely want to make some for our tree! adorable! I totally want to make a bunch now! I love how simple yet modern and funky they are! Super simple and brilliant! This is totally the kind of project where I feel like “Why didn’t I think of that?” 🙂 Hope your son is on the mend! 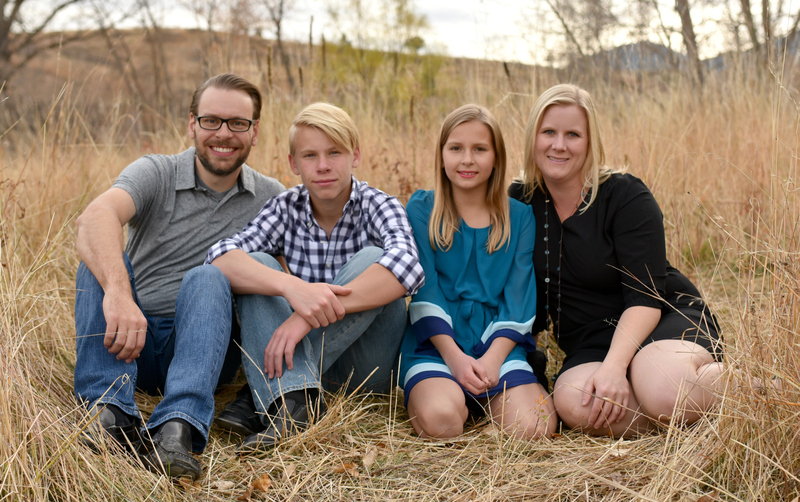 Kids have a way of bouncing back so quickly it can make your head spin! Praying for your family. God, in His wisdom, made children resiliantl. I really enjoy your posts, Thank you. LOVE these! And you can make them any color you want. I love filling mine 1/2 full of glitter. Ooooh, GLITTER! I love me some glitter. never mind i did another run thru and pinned it. Love this idea! Simple, easy and looks great! Great idea! Simple and it looks great! Great project, Allison! So awesome of you to post it while your son was sick! If you click the pin it button at the top or bottom of the post it will let you pin. If you try to pin from a pin it button in your own browser the images are unpinnabe (thanks flickr.) I will get the images working as soon as possible. I have to move them to my own image hosting. Sorry!